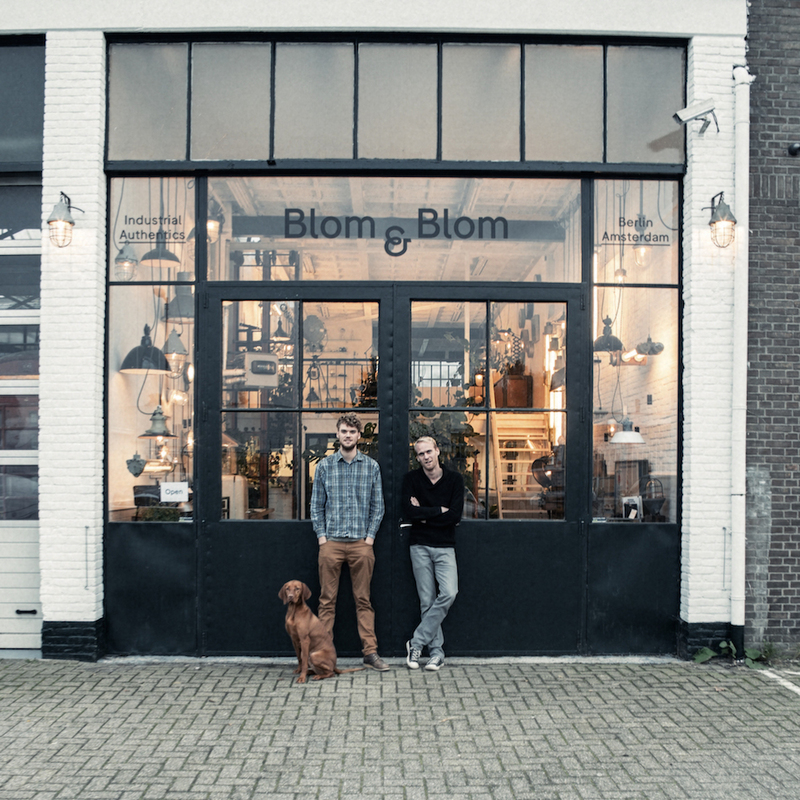 Somewhere in Amsterdam, in an old refurbished warehouse, craftsmanship takes life and color in a small workshop, Blom & Blom. The room full of lamps, working benches and lazy flowing plants in the corners of the room our sparks our curiosity about another story: that of lamp restoration. Kamiel and Martjin, the artisans at the core of the workshop, are lamp restorers and light storytellers. The two artisans take care of a common passion for stories told in a different manner than by words and for objects lost or forgotten. With each restoration, the craftsmen tell the story of the abandoned lamp that is about to bring light into the days of a future owner. In the air of the little workshop, we can feel the desire to tell the history of each lamp, a previous life that should not be forgotten. In their little store from Amsterdam, passion and trust in the power of craftsmanship create soulful stories from forgotten objects.